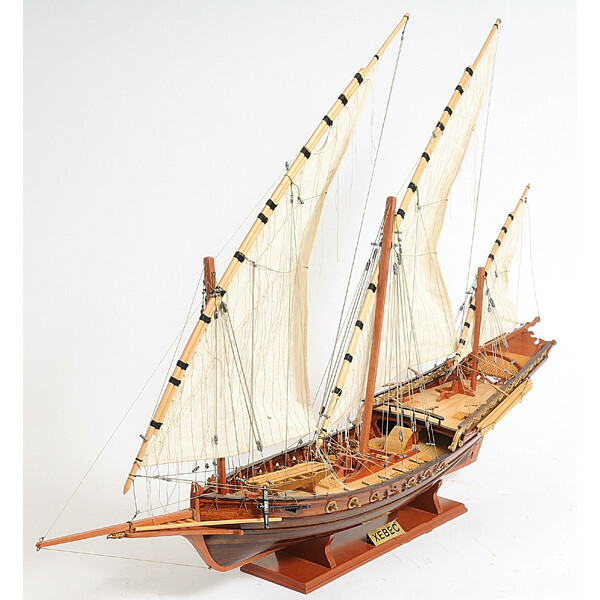 Far-famed for the outstanding range of Xebec Sailing Wooden Model Ship; we are a leading name in this trade. For the convenience of customers, we issue an invoice to them including details of transaction. Moreover, we maintain transparency in our payment procedure and dealings. Features : 100% hand build individually using plank on frame construction method and are similar to the building of actual ship. Each model requires hundreds of hours to finish and must go through a demanding quality control process Each model was built according to scale through original plans, pictures and drawings Each model is completely hand built to spec by skillful and creative master craftsmen If you would like model ship made in other sizes and colors, please contact us with your request.